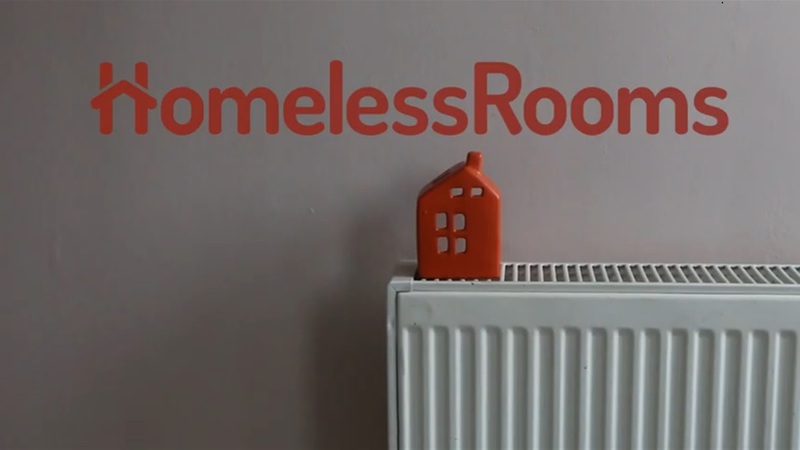 Homeless Rooms Birmingham (HRB) is a social enterprise set up to help tackle homelessness in our city by matching homeless people with empty rooms in good-quality supported accommodation. Together, we can make a huge dent in Birmingham’s homelessness problem. All we need is your investment and support to help us expand our platform and help as many people as possible. Shelter estimates that there are at least 15,538 homeless people in the city- that is one in 73 of Birmingham's total population. In 2010, Birmingham had eight rough sleepers across the city. After nine years, this number has increased to 91 rough sleepers, with no sign of stopping. Since April 2018, Birmingham City Council has had a minimum of 450 new cases of homelessness every single month, with a maximum of 660 last summer. Our service is unique. A recent report revealed at least 129 different referral ‘points of origin’ into supported accommodation in Birmingham, with the actual figure likely far higher. We aim to provide one simple, easy-to-use referral point to enable people to access good quality supported accommodation in the city. 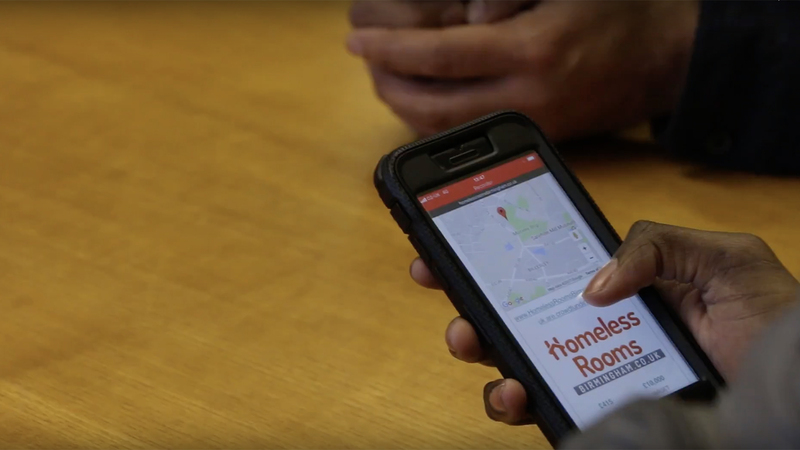 Our platform provides choice, safety and accountability for homeless people, and clarity, security and reliability for landlords. Homeless people referred to our website undergo a risk-assessment and their individual needs and choices are taken into account during matching. Both providers and homeless people can be assured that we will support them throughout the process, ensuring that they can contact our team for assistance when required. We also aim to raise standards in Birmingham’s supported accommodation sector, which a recent report suggests suffers from an ‘accountability deficit’. Through our commitment to only advertise properties that meet our minimum standards, we will encourage new and existing providers to recognise that robust monitoring and compliance measures are a requirement in order to operate in the sector. Since the website first went live, HRB has received 228 applications from individuals that have been either homeless or at risk of homelessness. These have come from a wide range of people with a variety of complex needs, including drug and alcohol addiction and mental health issues. 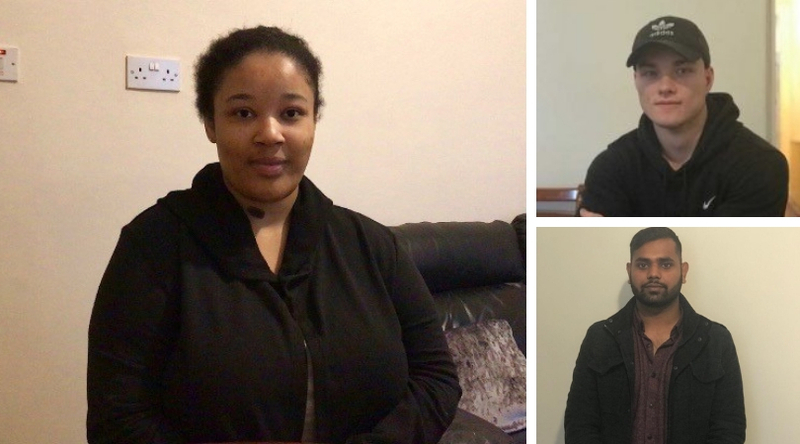 We are pleased to have been able to house more than 50 individuals to date, moving them from often uncertain situations into safe and secure accommodation, including the three young people pictured above. We have also advertised a total of 41 properties on our site from a variety of providers, including large RSLs and smaller organisations. One landlord, the CEO of a women-only supported housing organisation, commented that “Homeless Rooms Birmingham is great for both tenants and landlords as it gives choice and autonomy to the tenant and provides regular referrals for the landlord”. Sarah (not her real name) is one of the people we have been able to help during this time. Unable to continue living at her childhood home after family breakdown, she found herself sofa surfing, without a place to call her own. After almost a year of staying in unsuitable accommodation, she was referred by a friend to HRB. After 2 weeks, we managed to get Sarah into a secure, supported home. She said: 'The application was really easy to fill out and I feel absolutely comfortable in where they've put me. I hope other people will be able to find out and apply, and get their own independent place and be as happy as I am'. There are a lot more people out there who have been and are in a similar or even less fortunate position, and we make it our mission to help as many of these people as we can. In order to be sustainable, HRB needs a helping hand to get off the ground. Then, we can provide a long-term and sustainable solution to the issues surrounding homelessness in Birmingham for years to come and help many more people like Sarah. Our idea is good for homeless people, good for landlords, and good for wider society. Nobody wants to live in a society that allows its most vulnerable members to sleep on the street, or in unsuitable bed and breakfasts. Birmingham is better than that. We know that action is needed now, and we know that people from across our community, from government, charities and business, want to do what they can to help fight homelessness. We are passionate about partnership working and collaboration between all these stakeholders. The HRB platform is dependent on its website. This is where landlords, potential tenants, volunteers and supporters from our community will go. The smooth and reliable functioning of the website is integral to the success of the service. The website in its current format has served us well during our seed-funded stage.  However, in order to expand and realise the full potential that the service can offer, changes need to be made to allow the website to function at an increased scale. This will require hiring web design professionals to make the required changes. The platform currently operates in a way that is well suited to its seed-funded stage, with very limited staffing. This involves registered social landlords, under approved providers such as St Basils, Prospects and others, listing their rooms on the website, with potential tenants then matched with appropriate properties by the HRB team. However, in order to expand beyond this narrow list of providers, HRB needs to increase its capacity to be able to individually vet rooms and tenants on a scale that is currently not possible. This will enable the website to provide a reliable quality standard that is transparent, so that potential landlords will know what it is we require from them and in turn they will know what it is that we will provide. We believe that we need to create several full-time positions in order to carry out these tasks, including a Project Manager, Tenant Liaison Officer, Landlord Liaison Officer and two Administrators. A heartfelt thank you from us at Homeless Rooms Birmingham. You have helped tackle homelessness in our city. You will be added to our Hall of Fame of all of our supporters, which will be posted on our website. Become the principal sponsor for the Homeless Rooms Birmingham website. Large advertising space on site homepage and on all social media output. Numerous opportunities for photo events and other publicity.